The Victorian Government has planned to build seven B-triple routes across the state, according to a leaked Department of Transport document. The State Opposition argued the State Government intended to include the heavy vehicle network in its transport strategy due in November, without any consultation with communities or relevant organisations. “In December 2007, Planning Minister Tim Pallas promised full consultation with local communities and councils about B-triples,” opposition transport spokesman Terry Mulder said. The opposition argued the massive introduction of B-triple trucks can pose a danger, especially in suburban streets, as the prime mover towing three trailers can weigh up to 82 tonnes with a length of up to 36 metres. In reaction to the leak, Victorian Premier John Brumby said while the State Government was conducting extensive consultation on how best to cope with soaring freight demand, no final decision has been made on B-triple trucks. 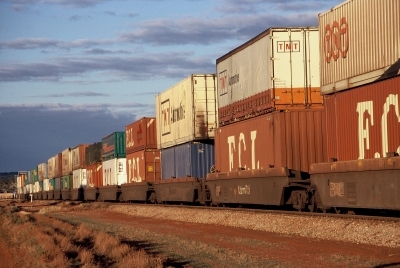 “The challenge that we’ve got is the freight task in Victoria is going to more than double by 2030, so there is going to be a lot of more goods being moved and we’ve got to look at the most efficient way of moving them,” Mr Brumby said.